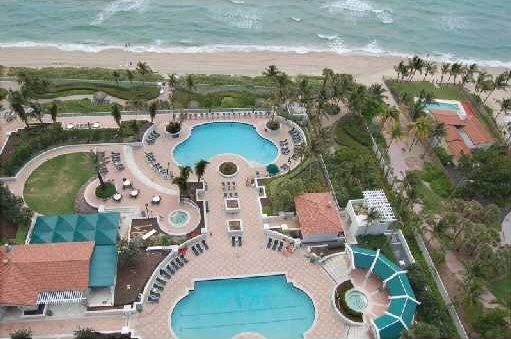 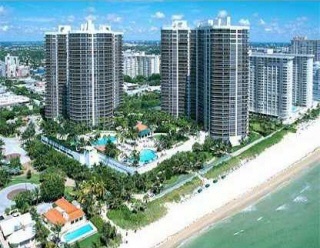 The L' Hermitage Fort Lauderdale - An oceanfront masterpiece, consists of 2 luxurious condominium buildings located on 10 acres of lushly landscaped and manicured grounds and featuring over 650 feet of pristine white sand Fort Lauderdale beach for your relaxation and enjoyment. 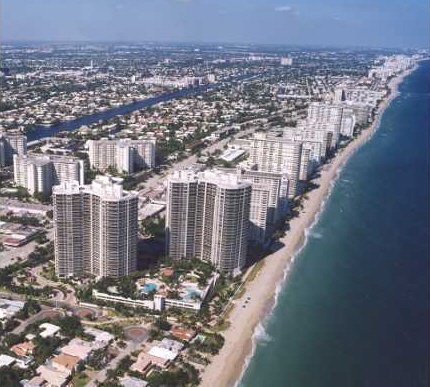 The L'Hermitage condominium towers are located in the heart of Fort Lauderdale and just south of the very well known "Galt Ocean Mile", the L' Hermitage offers fine restaurants and shopping within walking distance, and so much more just a few short minutes away. 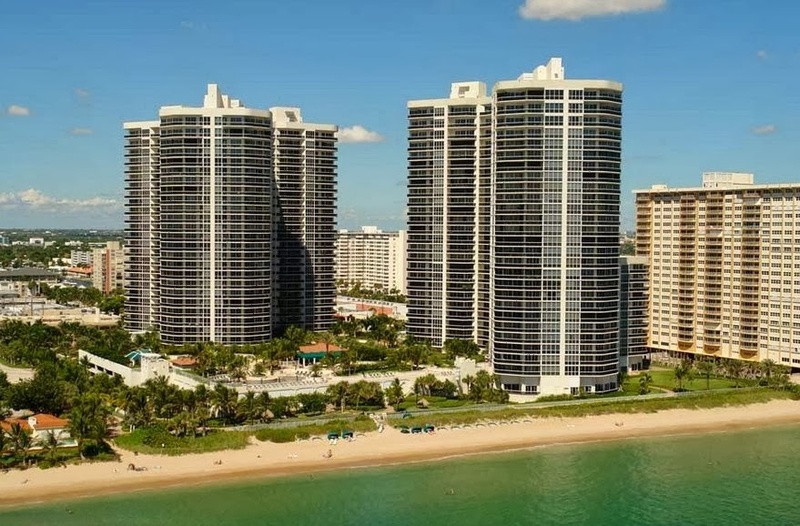 Each of the oceanfront luxury twin tower condominiums offers remarkable views of the ocean, the Intracoastal Waterway and plenty of stunning South Florida views. 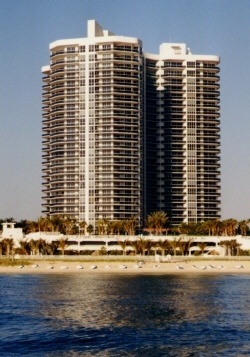 The individual condominium homes at L' Hermitage feature a minimum of nine foot ceilings, tinted sliding glass doors leading to oversized terraces, a luxurious Roman tub with whirlpool, top of the line appliances, built in kitchen pantry, separate laundry rooms and much, much more. The L'Hermitage condominium towers grounds are graced with two lagoon style heated swimming pools and a therapeutic whirlpool spa. 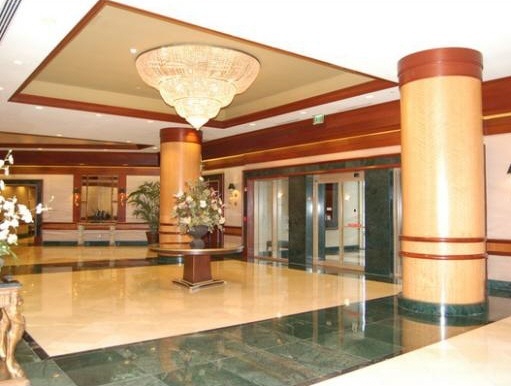 The entrance to your L' Hermitage condominium home is secured by a gated guard house manned with professional security guards 24 hours a day.